After a period of about a month a different constellation is in charge of our night’s sky. And with this rule of zodiac signs comes lots of changes. Right now the star sign of Taurus is the reigning constellation, so people born under this zodiac sign have certain character traits. If you want to know what a Taurus is like, make sure to check out this page. The zodiac signs have been around for many centuries, so also Taurus has loads of history. Most of them have a great backstory related to Greek mythology, or sometimes an even older myth. Today we will tell you the reason we have a bull as one of the 12 birth star signs in our star map. Even though the Taurus constellation has been named by Ptolemy in the 2nd century AD, this star sign dates back to the early Bronze Age. It was created to mark the location of the Sun during the spring equinox. Taurus means bull in Latin, but it weren’t just the Romans that associated this zodiac sign with a bull. The Egyptians, Greeks, and even the Babylonians, they all connected this constellation with the horned animal. There are even cave painting as old as 17.000 years depicting a bull. The bull is a representation of Zeus in Greek mythology. Zeus shapeshifted into a bull when he wanted to seduce Europa, the daughter of king Agenor or Phoenicia. As a bull he stood in the middle of the herd of the king. 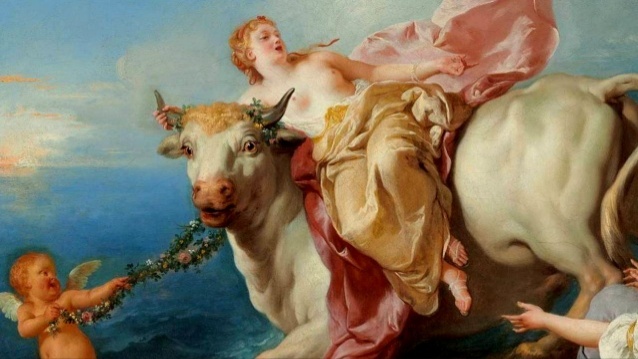 Obviously, Zeus was the most handsome bull, so he managed to get Europa’s attention. Europa decided to sit on its back, at which point the bull rose and ran off. Once they got to Crete, it was time for Zeus to change back into his own self and tell Europa who he really was. He handed her tons of presents in order to keep her happy. The presents seem to have worked, because in the end they ended up having 3 sons. The most famous one being Minos. Minos ended up to become the king of Crete and he built a palace at Knossos where bull games were held every year. Zeus, being happy with the results, decided to promote the bull to a constellation by placing it amongst the stars in the sky. In Babylonian mythology, the bull was known as the Heavenly Bull, or MUL.APIN. This constellation is connected to the story of Gilgamesh. He was the king of the Sumerian city state of Uruk. 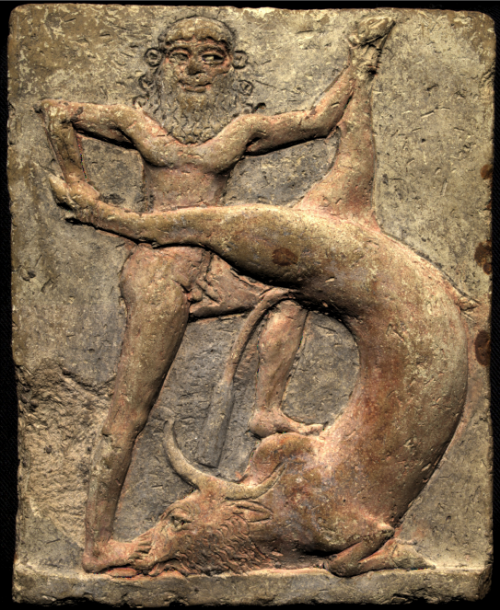 In the book The Epic of Gilgamesh, the king has to fight the Heavenly Bull. This animal was sent by the goddess Ishtar to kill Gilgamesh. She was so angry at him for not falling for her advances that she thought he deserved to die. Gilgamesh is considered to be represented by the constellation Orion, which is right next to Taurus. The story goes that they are still fighting their battle in the skies.